Our purpose is to help our customers live up to their hygiene ideals. Yes, we do this mainly by supplying high-quality cleaning tools. But even the best tools alone won’t make sure a company lives up to its hygiene ideals. That takes genuine expertise and services, along with the cleaning tools. Let me share a couple of recent customer-visit experiences that illustrate how, guided by our purpose, we add services to great products and take our customers further. ...the customer jumped in and said: “I think the service sounds fantastic, however, I just do not have the budget to spend on a consultation like that at the moment." Our area sales manager proudly explained that this was a FREE OF CHARGE service that we offer to our key customers. The customer was naturally delighted and took us up on the offer. The Vikan Site Survey – and the fact that we’ve made this service available for free – helped this customer to move one step closer to living up to its hygiene ideals. Luckily for us, we were able to offer another outstanding FREE OF CHARGE service that took our support above and beyond anything available elsewhere. In line with our purpose – which takes expertise and services to live up to – we have our own in-house Hygiene Department, led by our global hygiene specialist Debra Smith. She is an internationally renowned expert in microbiology and food safety. For key customers, Debra often gets involved to provide further end-user support, looking holistically at everything within a factory to advise on (amongst many other things) best hygiene practice, potential hazards and in this case issues relating to water consumption. Our client was delighted with the report Debra provided, which now gives him expert backing when putting his ideas forward for change to his management. 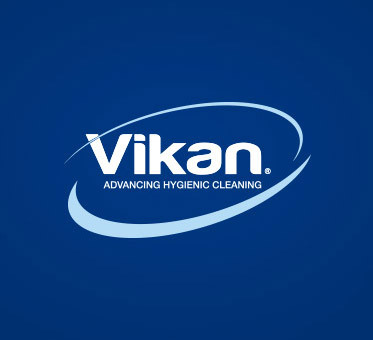 And it shows again that our unique purpose and the expertise and services we rely on to help customers live up to their hygiene ideals sets Vikan apart from the competition. Do we still have to explain why Vikan is different to its competitors? To find out how Vikan can help your operation live up to its hygiene ideals, please visit our Knowledge Centre, or contact me at afreer@vikan.co.uk.